To mark the start of England’s National Apprenticeship Week (#NAW2018) and Scotland’s Apprentice Week (#ScotAppWeek2018). The Early Careers Manager and Community Engagement assistant will use our social media to celebrate why apprenticeships are great for BAM. Using the social media campaign we will hear directly from our trainees and apprentices about why apprenticeships work for them. To help BAM celebrate there is a chance of winning a fry up for the best team entry, promoting the benefits to all parties about apprenticeships. Photos and answers will be used across our social media and the winning team of five people will be announced on Friday 9 March and those five people will be treated to a fry up! 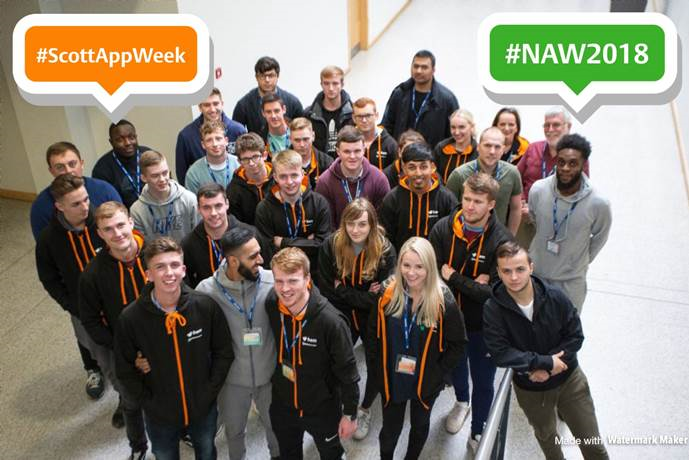 Share your support of England and Scotland’s apprentice weeks on social media and Yammer by using #NAW2018 and #ScotAppWeek2018.